Although not frequently encountered in newer homes, a significant percentage of the older homes in Prince Edward County are heated with oil. Oil heat ofter raises concerns for buyers who may have heard -accurately- that some insurers are refusing to provide homeowners insurane when there is oil heat. 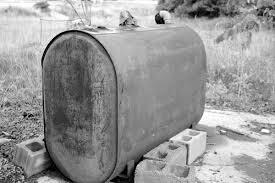 Even insurers who will provide coverage often insist on recently manufactured, double-walled tanks. I spoke to a local insurance broker to better understand the insurers’ point of view. In a nut shell, it appears that contemporary environmental and air standards mean that if there’s any singificant leak from a tank located in a basement, the insurer’s remedial costs can run to tens and sometimes hundreds of thousands of dollars. If you are considering a home which meets your overall criteria but has oil heat, don’t rule it out. In the most extreme case where an insurer insists on replacing oil, the natural choice is propane. If the furnace is modern, converion may only entail a new burner, not a new furnace. Conversions can often be done for $3,500 to $5,000 depending on circumstance. If you are considering a home with oil, it could be prudent to include a condition stating that an offer is condition on obtaining satisfactory quotations for replacing oil.